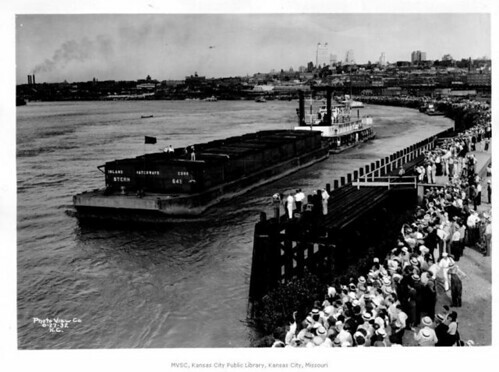 Kansas City was founded on the banks of the Missouri River; fighting the current, the settlers finally heaved boats on land to unload their families, personal effects and the cargo of supplies necessary to build a new community. Symbolically, the presence of waterborne commerce in the Kansas City area is vital! The presenter shared elements of the City’s history based on the barging industry, and what the Port Authority of Kansas City is doing to revitalize commercial river traffic in Kansas City. Branden Leay Criman graduated from the University of Missouri – Kansas City with a bachelor’s degree in Urban Planning and Design and additional coursework in Civil Engineering and Construction Management. Since 2008, she has used her experience in urban design, civil engineering, and civic, commercial and residential developments to represent Port Authority ventures through project and operations management. She is leading the Port Authority’s initiative to reopen the Port of Kansas City in her role as Deputy Port Director. ← What Do You Like to Do on the River?